The highly experienced Occupational Therapy team at D.O.T.S. consists of a range OT’s who are all fully registered with the Australian Health Practitioner Regulation Agency (AHPRA). They pride themselves on providing a family centred, evidence based approach to therapy which can be provided in the home, kindergarten/school or at one of their clinic locations. D.O.T.S. works with a range of children who may have a diagnosis of Autism Spectrum Disorder, Sensory Processing Challenges, Cerebral Palsy, Down Syndrome, Handwriting Difficulties, Attention and Learning Challenges, Developmental Co-ordination Disorder or Motor Planning Challenges as well as General Developmental Delays or challenges with any area which impacts on their ability to complete tasks they need or want to do. Further, D.O.T.S can help children with self-care skills such as feeding, dressing, bathing and toilet training, gross and fine motor skill development such as bike riding, handwriting or drawing skills, and developing sport skills, attention and learning issues, sensory processing skills, and play and social skill development. D.O.T.S. are registered providers under Medicare including Mental Health Care Plans, DSS (previously FaHCSIA) funding under both Better Start and Helping Children with Autism packages and NDIS. Families can also claim through their private health insurances. D.O.T.S. provides services from both the Moonee Ponds and Keilor Practices. For further details about funding, how a D.O.T.S. 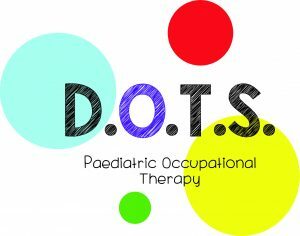 OT can help, and their other locations please call 0452 573 687, see their website at www.dotspaedot.com.au or follow them on Instagram @dots_paed_ot.